TACLOBAN CITY -- Leyte Representative Sergio "Serging" Apostol is proposing for the creation of a new congressional district for the province. Aside from having a possible sixth congressional district, he is also seeking for a separate congressional district for Tacloban, being now a highly-urbanized city, Apostol said. The veteran solon said that it's about time that Leyte's current five congressional district be increased considering its growing population and big coverage. "I am proposing that a new congressional district be created for Leyte to make our congressional districts to six," he said. "There is now a need for a redistricting of our congressional districts. Leyte is so big already (population-wise)," Apostol added. Under his proposal, the new congressional district would include some towns in the first district like Babatngon, and from second district like Dulag. Apostol said that he already discussed the matter with Representative Ferdinand Martin Romualdez of the first district of the province. Romualdez, he said, seems amenable to the idea creating a new congressional district. He, however, admitted that the matter of creating a new district needs more discussion. "And I have yet to discuss it with Icot," Apostol said, referring to Governor Jericho Petilla. Apostol also said that aside from having a new congressional district consisting of various towns from the first and second districts, he is also proposing that a congressional district for Tacloban be created. He said that as a highly urbanized city, Tacloban is already qualified to be a lone district. At present, Tacloban is part of the first congressional district of Leyte. Tacloban became an HUC last 2008 which made it independent from the administrative control from the provincial government of Leyte. Meantime, Apostol revealed that he is also seeking to create what he called as "Metro Carigara" wherein the towns of Capoocan, Barugo, Tunga and Carigara, among others, would be merged as one in aspect of administrative supervision similar to that of the Metropolitan Manila Development Authority (MMDA). With the towns under a single administrative control, the development of these areas would be faster. "But these towns would not lose their respective identities. There will still be mayors for these towns. But there will be officials elected under the Metro Carigara," Apostol said. He said that this set up is nothing new as he cited a similar thing wherein Sorsogon City and a town he could not name were merged as one. TACLOBAN CITY -- About 85 illegally cut woods were confiscated by the members of the Fisheries Law Enforcement Team (FLET) from two persons who were about to sold them to a lumberyard store. Arrested were Antonio Lumagbas and Arsenio Cadaingon, both residents of Barangay San Fernando, Basey in Samar, Noel Ligtas, FLET coordinator, said. The two were arrested while they are to deliver the illegally cut woods with an estimated value of more than P2,000 in a lumberyard store located in Sagkahan district last Monday. Also confiscated by the FLET members was a pump boat used by the suspects in delivering the hot items. Ligtas said that the suspects have been charged for illegal cutting under Republic Act 7161 or the New Forestry Code of the Philippines. "Based on our information, they have been doing these illegal acts for some times now although they claimed otherwise," Ligtas said. Ligtas said that the pump boat where the two were on board was noticed to be sinking down which alerted them. "If the pump boat is almost at the level with the water, our suspicion is that it's carrying something heavy. That is why, we followed them as they were on their way to Sagkahan, "he said. Truth to tell, the pump boat was indeed carrying the illegally cut woods, Ligtas said. TACLOBAN CITY -- A dramatic decrease in the number of dengue cases in the City has been recorded this month. This was revealed by Acting City Health Officer, Dra. Joedina Gumagay during the recently held press conference at the Mayor's Office last Monday. Dra. Gumagay said CHO recorded 57 cases for the month of August (starting from Aug. 1 to 22) against the 307 cases of dengue victims recorded last July. "As far as CHO is concerned, we can say that the victims of dengue decreased since our data shows that only 57 cases have been recorded this August while 307 cases were recorded in the month of July," Gumagay said. Gumagay pointed out that the main reason for the decrease of dengue victims is the search and destroy campaign that was launched by the City government a month ago. It may be recalled that the city government through the initiative of City Mayor Alfred S. Romualdez launched the search and destroy campaign aiming to stop the alarming increase of patients admitted for dengue. "The main reason that we consider as the biggest contributor that attributes on the decrease of dengue cases victims is the search and destroy campaign that was launched by the city government," Gumagay added. The City Health Officer stressed that it is also due to the extended help of the community wherein they supported the call of the City government to keep their surroundings clean. "We also consider the help given by the community members themselves for their positive response towards on the call of the city government for keeping the surroundings clean," the City Health Officer explained. Lastly, Gumagay said that most of the reported victims of dengue range in age from five to nine. TACLOBAN CITY -- Mayor Alfred S. Romualdez in a press briefing described Tacloban as still a safe place to everyone in general. This was disclosed in a recently conducted press conference by Mayor Romualdez last Monday at the Mayor's office wherein he said that Tacloban is still considered as a safe place to everyone, especially to tourists in spite of some crime incidents happening in the City. According to the Mayor, Taclobanons could avoid being victimized of crime if they will be careful on everything they do and they should watch their back always. "Crime incidents can be prevented if only people would be careful on their part. They should avoid going to dark places and prevent themselves in going to places where they have enemy," Mayor Romualdez said. Meanwhile, the mayor adviced Taclobanons to report their concerns to policemen or to barangay officials for them to get immediate action for solving the crime. "If you are threatened by somebody else in the society, kindly report it immediately to our policemen or even to our barangay officials, so that they would be guided if something happens to you," he added. Furthermore, the City chief executive stressed that the community should record threats received from other people. "Aside from reporting to the concerned citizen, I also appeal that the public should have it in hand writing if they were threatened, so that the responding policemen or barangay officials would have a lead as to who did it to them," Mayor Romualdez said. In an unprecedented decision, City Mayor Alfred S. Romualdez has decided to clear the city from unsightly dangling cables and wires which are seen conspicuously in the various thoroughfares in the City of Tacloban. This move has been first on his list in accordance with the Limpyo Tacloban campaign and in support with the Mahusay Tacloban Project of Councilor Cristina Romualdez. The project is a joint effort of the City Government of Tacloban, the LEYECO II and the various telecommunications companies operating in Tacloban. The Mayor has long dreamed of implementing the project and has instructed one of his Executive Assistants, Mr. Marco Nardo to initiate the collaboration with the other players. The Mayor quipped "hindi maganda na maraming mga nakabitin na mga cable na wala namang mga gamit samantala malinis ang kapaligiran ng ating mga kalsada, nagiging eyesores ang mga ito at nakikita ng ating mga mamamayan at mga bisita". It can be remembered that the Mayor has relentlessly pursued the Limpyo Tacloban program resulting to a positive result where locals and visitors alike have commended the effort. The project is anchored on the enforcement of Ordinance No. 2010-11-01 otherwise known as an Ordinance regulating the installation and construction of poles and overhead lines which include telecommunications, cable TV and other cables along major thoroughfares in the city. In a meeting with telecommunications companies, it was explained to the telecom players that it is high time Tacloban thoroughfares be rid of unsightly wires and cables hanging and crisscrossing streets. Some of these cables and wires left unattended through the years are useless and have become eyesores and pose hazards to the public. There was a common consensus to start the clearing operation in the coming week and to do lashings of lines in the succeeding operations. The initial meeting organized by Nardo was attended by the owners, operations and technical managers/engineers of Filproducts, Leytenet, SMART, Globelines, PLDT and Bayantel. LEYECO II was also well represented by its Technical Department Manager and Engineering Supervisor. All of the companies were amenable to the Mayor's plan and project in making Tacloban at par with other cities. The first clearing work will be at Zamora Street with all the companies sending their clearing crew and will work as a team. On the part of the City government, TOMECO men will be deployed in the area to facilitate traffic. In Nardo's words: "We will start with Zamora Street because it is in the inner heart of the city frequented by many people." "We want to show to the people that we are serious and doing something to the problem on unsightly cable wires which the Mayor has long wanted to be cleared." Each telecommunication company will use a color code in its lashing to easily identify their wires and cables with LEYECO II assigning them their designated location in the poles. Building Official, Arch. Fuentebella pointed out the advantage of such move, he said, "LEYECO will also have a chance to look into its Joint Pole Agreement with the telecom companies and will be able to determine those who are using their poles without proper permission." Other City officials who attended the meeting were GSO Head Rudolph Mate, HRMO Pinky Brosas, Traffic czar, Buddy Estudillo and CEO Engr de Paz who all aired their support to the project. Yesterday's fruitful collaboration was a realization of a longtime dream of the Chief Executive to maintain cleanliness and beauty of the city as it became a highly urbanized city in December 2008. Along with Councilor Cristina Romualdez who has been at the helm of the Mahusay Tacloban campaign, the Mayor wants to partner with these players in making Tacloban tourists-friendly and consistent with its being an HUC. It will be noticed that since his assumption as Chief Executive of Tacloban, the city has consistently worked hard on its cleanliness and sanitation drive. Mayor Romualdez through EA Nardo thanked the officials of Bayantel, PLDT, Smart, Globelines, FilProducts, Leytenet and LEYECO II for responding favorably to his call. A few days after the Department of Public Works and Highways (DPWH) has issued a department order banning the names of politicians in infrastructure projects, the DPWH in the region is set to remove all banners and tarpaulins covered in the order throughout the region within this week. Public works and highways regional director Angelito Twaño said that he has instructed already all district and construction engineers last week to start removing the tarpaulins and billboards bearing the names and pictures of politicians as other regional offices of DPWH in the country had implemented the order. Taking the cue from DPWH Secretary Rogelio Singson, the regional office is set to eliminate billboards in steel frames of road projects alongside the major highways especially in the 1st district of Leyte. "Trabaho lang, walang personalan, we are just doing our job and they should understand us," he said in an interview with a local radio station here. The regional director said that if they will not remove the billboards, then they might be in a hot spot for neglecting the duty attached to them. "We have to demolish them especially the billboards made from steels and cements," he reiterated. To recall, Sec. Singson has issued Department Order 37 directing central and regional offices of removing pictures, names or other logos associated with politicians, including the chief executive, on its projects' billboards anywhere in the country. The new DPWH order said the name of project and location, name of contractor, date started contract completion date, contract cost, construction consultant, implementing office (of the DPWH), and source of fund shall be the only information carried out by its project billboards, for the information and guidance of the taxpaying public. The directive also modifies the DPWH standard billboard to a tarpaulin with size of 4 x 8 that is typically seen at beginning and end of road, bridge and flood control projects and in front of project site for building projects like school buildings, multi-purpose centers, and government offices. Meanwhile, Twaño said that he is grateful to the support given to him by some legislators in the region of passing a resolution to retain him as the regional director of DPWH. Among them, he said, is Leyte 1st district Cong. Ferdinand Martin Romualdez who initiated the move to divest his supposed transfer to Region 7, Central Visayas, as the new director. "I appreciate the trust and effort rendered by some of our region's legislators to retain me in the position of being the director in the region," the official stressed. TACLOBAN CITY -- Marginalized Taclobanon can now avail of FREE services from the Mayor Alfred Social Action (MASA) Office which is located at the 2nd floor of the Tacloban Supermarket. Conceptualized by the Mayor himself, the MASA Office gives direct services for free to ordinary Taclobanon, services such as free legal, health, social and civil registration services can now be availed at said office. With the tagline of "Aadi ako para ha iyo" (I'm here for you) , Mayor Alfred S. Romualdez spent most of his time holding office at the supermarket aiming to be closer to ordinary Taclobanons. In an interview, Mayor Romualdez expresses his desire to serve at the same time listen to grievances aired by a common Taclobanon who felt ashamed to go to Kanhuraw City Hall and burden himself in spending an additional amount for fare. According to Mayor Alfred, a mere market goer can just easily drop by the office to get free services with out spending additional amount from his pocket for fare. And besides the location of the MASA office is strategically located where business activity is going on, Mayor Alfred added. Legal services offered includes free notarization, affidavits and legal counseling from authorized legal personalities. Health services comprise consultation, check-up and free medicines and few laboratory exam from licensed medical team. Social services covers PhilHealth registration and distribution, social counseling, and other city social welfare development office concern, a social welfare officer will be around to take care of your needs. Civil registration services contains free live birth & late registration, death certificates and other concerns. Presently the Mayor Alfred Social Action Office takes charge of the market concerns for walk in clients. Recently, the mayor, after having an ocular inspection of the whole supermarket set-up, has ordered a thorough declogging activities of the drainage surrounding the Tacloban supermarket. In his quest to serve ordinary Taclobanons, Mayor Alfred S. Romualdez has established the Mayor Alfred Social Action (MASA) Office, bringing services closer to marginalized residents of Tacloban City. TACLOBAN CITY -- Hospitals run by the provincial government of Leyte posted a collective income of more than P36 million during the first and second quarters of 2010 which is P8.4 million higher from the income earned by the hospitals under the same period in 2009. In a latest report submitted by the Provincial Health Office to Leyte Governor Carlos Jericho Petilla, the twelve hospitals that include the Leyte Provincial Hospital earned P17 million during the first quarter and P19 million in the second quarter. Topping the earning bracket were the Ormoc District Hospital with P8 million, Leyte Provincial Hospital with P7.7 million and Western Leyte District Hospital with P5.6 million. The rest of the province-run hospitals that also went up to the million mark in income were Abuyog District Hospital, Hilongos District Hospital, Burauen District Hospital, Manuel B. Veloso Memorial Hospital and Carigara District Hospital. Already halfway into the calendar year 2010, the income posted for the first two quarters is seen to boost the hospitals' income benchmark and help surpass its P60 million income posted in 2009. Governor Petilla, in his recent visit to the Leyte Provincial Hospital, said that this increased income should inspire the doctors, hospital staff, personnel and management to provide better and efficient service. It can be recalled that during his first term, Gov. Petilla started a reorganization and hospital improvement program for the facilities to effectively run on its own and save the province from millions in operational subsidy. The net income being earned respectively by the hospitals are divided into the province's share and hospital share. The hospital's share are then divided into 30% MOOE, 30% capital outlay and 40% employees share. The employees share is given to the doctors and the rest of the hospital staff and personnel as their incentive. The share given to the province adds to the provincial income which is in turn allotted for hospital improvement and other medical services and support for the health and medical assistance program of the province. Gov. Petilla revealed that part of the objective of the hospital improvement plan of the province is to upgrade the status of the hospitals including the district hospitals in Ormoc and Baybay as well as the LPH from being a secondary hospital to a tertiary hospital. "We are steadily going working towards that objective. Hopefully, we would realize it soon," Gov. Petilla added. TACLOBAN CITY -- Twenty-seven percent has been decreased of the crime incidents in Tacloban City from January to July 2010 compared to the crime incidents recorded from January to July for the year 2009. This was disclosed by the City Director, Police Senior Superintendent Sergio Dimandal of the Tacloban City Police Office (TCPO) in a recent interview with the Leyte Samar Daily Express, in the recently held Press Conference at the TCPO Office Saturday morning. 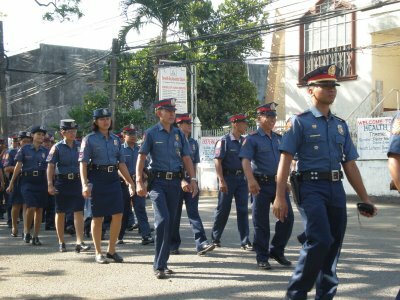 Dimandal pointed out that this achievement of the TCPO is somehow because of the augmentation extended by the Barangay Peacekeeping Action Team (BPAT) that they have formed at the barangay level of the entire city that is responsible in maintaining the peace and order of the community where they are residing. "The reason why we had been able to attain such decrease on the number of crime incidence in the city is due to the help that was given by the BPAT which we have trained in every barangay," Director Dimandal said. "The crime incidence in Tacloban would really be lessen in occurrence if the BPAT that we have in all over the city would be fully mobilized", he added. The city police director stressed that the Salisi gang in commercial stores like in shopping centers and shopping malls were mostly the incidence that are recorded by the TCPO. Meanwhile, the director also said that incidence of pick pocketing and snatching at Robinsons Place and at the Coca Cola area was also been decreased in numbers. Moreover, Dimandal have said that only if all of the community of Tacloban would share and cooperate with them (the policemen), Tacloban would be more peaceful. TACLOBAN CITY -- Leyte Governor Carlos Jericho Petilla is being tapped to be one of the two provincial governors to accompany President Benigno "Noynoy" Aquino's visit to the United States this September. Gov. Petilla said he has been invited to form part of the president's entourage party for President Noynoy's first official overseas trip as chief executive of the country. He, however, did not disclose who is the other provincial governor invited for President Aquino's entourage. Petilla said the President's visit to the United States is mainly to announce that the Philippines maintains an investor-friendly environment and is open anew for business. The present administration is said to be intent to gain investments out of this first working visit of P-Noy. "I was told that the visit would mainly to talk to possible investors who can bring their businesses and companies to the country and gain employment for our workers," Gov. Petilla said. He added that for his part, he would also be presenting business potentials in the province of Leyte particularly in the field of information and communication technology. The US, the governor disclosed, is one of the biggest investors in business process outsource (BPO) and that, if talks would go smoothly, Leyte can have its share of this billion-dollar industry. "We have our Leyte ICT Park, we are in fact expanding this year which shows that we have something to offer for this kind of industry," Gov. Petilla disclosed. The President's US tour will cover California, New York and Washington DC. Meanwhile, it was learned that the main focus of President Aquino's visit is to show to the world that the Philippines is once again open for business, and that the present administration means business about making sure that dramatic improvements in governance are being made and that the Philippines will once again be an attractive destination for investments both in terms of good governance, political stability and lower cost of doing business. The President earlier confirmed he would visit the United States, mainly to attend the United Nations General Assembly in September. President Aquino is also expected to hold talks with US President Barack Obama although the Palace has yet to confirm such meeting. Obama has invited Aquino to visit the White House shortly after he won the recent elections. Despite the policy of President Benigno C. Aquino III not to use names, images of government officials in government funded projects on billboards and signages including in fire trucks, ambulances and other government vehicles, there are still many of them even in Leyte alone, especially in the First and Second Congressional Districts. It seems that the government agency tasked to remove and dismantle them has not yet started their operation. Even during the past administrations when there was no policy against it, it was really annoying for concerned citizens seeing names of politicians, their images and the words "through the efforts of" naming the politicians in government projects within their jurisdiction as if the people don't know it already or that the funds used came from their own pocket. In the Second District of the province, for instance, there are three family members in one billboard with their names and images on it. It's simply propaganda materials instead of information to the public. This has been the annoying practice of politicians long time ago, perhaps since we became a republic that it is high time to ban it indeed right now. It is their job, those politicians, to provide projects for their constituents and part of what they have sworn to and paid for whether they will advertise it or not. 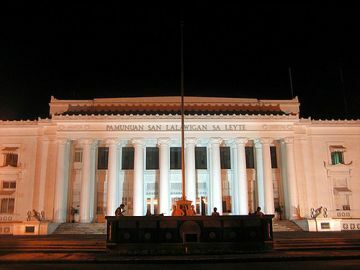 The appropriate government agency tasked to tear them down and demolish it should start doing it now for it is becoming an eyesore with the instruction of the President not to use their names and images in government projects. The image of the former president is also still there that it seems there has been no change the administration. drag racing along Real St.
TACLOBAN CITY -- The City council has called the attention of the TOMECO and the Tacloban City Police Office on the incidents of drag racing along the stretch of Real St. to Magsaysay Boulevard. City Councilors Jerry Yaokasin, Bianco Mate and Neil Glova have called the attention of the local traffic enforcers and city police office to look into the matter of drag racing that is happening in the City during night time. The said illegal activity was observed by the City councilors after the national government had implemented an improvement projects by doing an asphalt over-lay over the said road that attract thrill seekers and adventurous individuals to use the road as their venue for drag racing. "This project of the national government is commendable, because it helps the motorist a lot, but some people are abusing it by conducting drag racing," Councilor Mate said. "I hope that the traffic enforcers and the police authority will look into it," he added. The said drag racing involves motorcycles and cars that use the stretch of Real and Magsaysay as their venue for the said illegal activity which the councilors stressed that it could lead to accidents or harm not only to the drag racers but also to the bystanders. Councilor Yaokasin added that the said illegal sport activity may also damage some properties. "This activity usually happens during weekend, on Fridays and Saturday nights," Yaokasin said. He added that he was once a victim of irresponsibility of the said drag racers when one of them bumped into his car and damaged it. "After they had damaged my car, they just left as if nothing happened," he added. On the part of Councilor Glova, he asked the implementers of the projects and the Department of Public Works and Highways to fast track the implementation of projects especially in putting of warning signs like the center lanes. "The center lanes will help the motorist to know where they are on the side of the road, this will help to prevent accidents," Councilor Glova said. Councilor Willy Domingo, who is a confessed drag race enthusiast and a drag racer, said that the group which he belongs is not involved in any activity that could put people's lives in danger. "I agree that there are motorcycle riders that are involved in drag racing," Domingo said. "But I assure this August body that our group who are all racing enthusiasts are not involved in any activity that could put into danger the lives of the people," he added. "I hope that the people, especially the motorcycle and automobile racing enthusiasts, would be responsible enough in using the roads," Mate stressed. In his desire to make himself near his constituents, the man behind the MASA concept established a satellite office in the old public market. The place is always teeming with people being one of the melting points in the City of Tacloban . Both big and small entrepreneurs and consumers alike from the city and neighboring towns frequent the public market. What better place to make his presence felt than in the place itself? 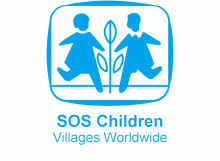 The Mayor Alfred Social Action Office or MASA is an extension office of the City Mayor in Tacloban. All the frontline offices in the City Hall have tables and Action Officers where the people could go to for assistance, complaints and other concerns. Aside from Point Persons of Frontline Offices, there are Social Workers, Doctors, Nurses, Lawyers and other Professionals people could consult. The Mayor wants his Office to be accessible to everyone. Furthermore, he wants to be close to the people. He is aware that heads of families, homemakers and mothers and even young people frequent the marketplace, the reason why he made the 2nd floor of the first building in the market his extension office. Taking note of the complaints coming from the various sectors regarding the state of the Tacloban Supermarket is also another reason for such move. The marketplace is where most of the food of families is bought. The Mayor wants to clean the place and make it competitive in sanitation and orderliness from other markets in other metropolis - clean, odorless and orderly. It is also paving the way for the establishment of a Fish Port which will soon rise in the area. de-clogging of drainage canals; demolition of identified stalls at Chicken section; cleaning of walls, ceiling from cobwebs and unsightly hanging fixtures and repainting of the same with bright color paints; and the relocation of spice and vegetable sections to vacant spaces at Main Building or in unoccupied stalls. With the order, he wants the other offices and members of the Task Force Market to be heavily involved. It should not come as a surprise for the people and the public to know that there will be Volunteers who will be going around enforcing the anti-littering and Jaywalking ordinances. People are enjoined to cooperate and be aware of the efforts of the City Government in making the Tacloban Market at par with the rest of the best markets in the country. Market cleaners and Market Guards have been reminded to do their jobs not because the Mayor is around but because they are committed to do their work at all times. There are other corollary concerns that will be done around the place so that the public can see the difference in a matter of days. The new set-up cracked the cordon sanitaire that some people insinuated the Office of the Mayor to have. The Mayor has always been an accommodating person who warms up easily just like his councilor-wife. His detractors have painted such condition for the sake of tarnishing his friendly image. Once he lightly reacted: "
Bakit pa ako nag-Mayor kung may cordon cordon pa?" Very aptly said coming from a man who has made the move to manifest his desire to be one with the masses. TACLOBAN CITY -- In order to know the real situation of the Tacloban Public Market, the City Mayor Alfred S. Romualdez spearheaded the inspection conducted on the public market area together with the different head officials designated at the mayor's Social Action (MASA) office yesterday afternoon. The different heads that were with Mayor Romualdez on the inspection were Cesar Salipot, market superintendent; Derek Anido, executive assistant to the mayor; Tita Pedrosa, head of market operation; Ellen Pariniano, administrative assistant and Evelyn Cordero, head of administration of MASA office. In an interview with the mayor, he said that it is one of his first move in making the Tacloban public market be more convenient not only to the vendors themselves but also to the citizens who are buying items there. "We are studying a possibility not only on rehabilitating and also we are studying on the aspect of foot traffic in the market to make it more convenient to those who will come here," the executive official said. Meanwhile, Mayor Romualdez had observed on the inspection conducted that drainages there have to be cleaned, the vendors should be given attention and should implement strict proper waste disposal. "The drainage has to be cleaned and the vendors should be attended on their concerns asked. Also, we should have to have strict implementation on proper waste disposal," he added. Furthermore, the City Mayor has mentioned that in the previous years the public market has not been given such focus by the administration and he saw stalls that are in need of rehabilitation or really need to be taken off. As an answer to the problems that were observed by the mayor on the public market, he assured that the city government will be attending and will be giving enough time to oversee the over-all situation of the market area. "It is just a matter of concentration. We should make sure that the drainage would be maintained clean," Mayor Romualdez explained. Lastly, the mayor also disclosed that they will police the area by making it a point that vendors and the citizens going the market will not just throw their garbage anywhere in order to keep and maintain the cleanliness there. CAMP KANGLEON, Palo, Leyte -- Senior Superintendent Pio Manito, chief of personnel of the police regional headquarters, has said that the region would need new policemen. Manito said that for this latest recruitment, the region would hire close to 400 new policemen. He, however, admitted that while the slots up for grab are quite sizeable, the applicants are not enough. It was learned from Manito that the applicants for this latest recruitment is almost the same of the needed slots. "We need more applicants as we go along with the trainings, some of them would be disqualified," Manito said. For his part, Senior Supt. Manuel Cubillo, information officer of the PNP-8, said that for this number, the applicants must be at least around 700. He explained that applicants are asked to stop from further trainings if they failed to muster the agility, medical and neuro tests. Those who would pass on this latest round of police recruitment are to formally join the organization on December 1. Manito said that despite the latest recruitment, the region still needs more policemen to fill up the gap. He said that lack of policemen is pronounced in all towns in the three Samar provinces. At present, there are close to 5,000 policemen assigned across the region. TACLOBAN CITY -- The city government is pushing to prosecute the illegal recruiters who victimized 23 individuals, seven of them minors. In a press conference, Councilor Cristina Gonzalez-Romualdez said that it is only by filing a criminal case against the illegal recruiters that this kind of illegal activity would come into stop. "We want to set an example so that no similar incident would happen involving our people," Romualdez said yesterday. The city government has filed trafficking in persons, referring to the adult victims, and qualified trafficking in persons, involving minor victims, before the Regional Prosecutor's Office. While there are laws and ordinances governing issue on trafficking in persons, Romualdez said, the most effective way to address the problem is still vigilance. "That is why, we have to urge our barangay officials and the resident themselves to be always vigilant on illegal recruiters going around to their barangays," she said. During the press conference held yesterday at the Women's Center, a mother of two minor victims, admitted that it was poverty that made her allow her minor children, who also included the siblings' eldest brother, to work in a canning factory in Zamboanga City. "We never thought that they would suffer that kind of plight," she said. Labor Regional Director Forter Puguon, in the same press conference, said that he would look into the possible labor violations committed by the owners of the said canning factory. The victims, together with 60 others, were recruited purportedly to work in Zamboanga on promise of good paying jobs. The minors were rescued last month in a checkpoint in Barangay Tigbao, Pagadian City in the course of police operations who were then hunting down bank robbers. The minors would temporarily stay at the Women's Center. TACLOBAN CITY -- The dengue fever scare that has engulfed the city for the past months now appears to be on the decline. This was declared by Mel Tirso Maravilles, sentinel nurse of the City Health Office, during the weekly media forum "Express it at the Park" held at the Leyte Park Resort on Saturday. 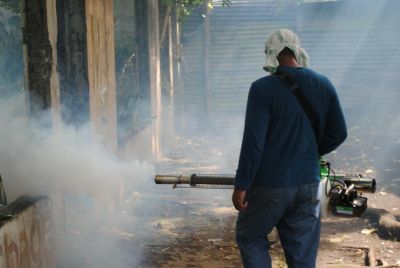 Maravilles said that based on their monitoring, for the past days now, the number of dengue fever cases in the city has decreased compared to previous months of the current year. "I can say that our dengue fever cases are now decreasing. For this month, we have only 18 cases, which is comparatively lower compare to previous months. In fact, even if we triple the number (18), its still low compare to the number of dengue fever cases of July which was 307," Maravilles said. The health official said that from the months of January up to this week, they have monitored 1,401 dengue fever cases in the city with 16 deaths. Maravilles, however, said that this number should not be given much credence considering that only 200 of the persons who suffered symptoms of the disease were confirmed to have been afflicted with dengue fever. He also said that most of the victims confined in various hospitals in the city were actually not residents of Tacloban. "But in the DOH report, they are considered as residents of Tacloban though they were only here to seek for medical help," Maravilles said. The high number of dengue fever cases of Tacloban was believed to be the reason why Doctor Jaime Opinion was relieved from his post as city health officer. But Mayor Alfred Romualdez cited his being a surgeon as his basis why he sacked Opinion who was been the city's number health officer for more than four years now. Maravilles attributed the declining number of persons downed by dengue fever in Tacloban to their relentless campaign in the villages. Their campaign involves the cleaning of stagnant waterways and the destruction of possible breeding grounds of larvae that causes dengue fever. Despite the decreasing trend of dengue fever cases in the city, their campaign on environmental cleanliness would be sustained, Maravilles said. 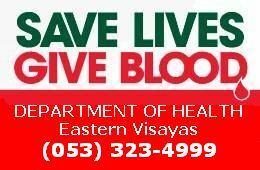 "Let us make this a habitual effort not only because we have dengue fever cases. It really pays to be living in area that is safe and clean," Maravilles said. TACLOBAN CITY -- The anti-dengue campaign in this city has shown some positive results as the recent number of confirmed and suspected dengue cases here has drastically dropped from July's figure. From the 370 dengue cases reported in July, only 18 new dengue cases were recorded from August 1 to 13, said Mel Maravilles, nurse sentinel of the City Health Office, in a media forum here Saturday. However, the number of deaths due to dengue in Tacloban City over the last eight months now stood at 16, with school boy from Barangay Otap as the latest victim. He died of dengue last August 3. The total number of confirmed and suspected dengue cases in Tacloban since January this year has reached 1,401, Maravilles said. He said that of the total dengue cases in the city, only 20 were confirmed cases, 13 were probable cases and 1,368 were suspected cases. Maravilla said they were still in the process of verifying the 18 suspected cases in August, which, while showing symptoms of dengue fever, had yet to be confirmed through laboratory tests. He said there has been an increase of dengue vectors in the city, especially in the barangay (villages), which has been why they have been sustaining their anti-dengue drive in the villages. In July, the Office of the City Mayor and the city health office led a massive anti-dengue drive in four dengue hot spots in the city, cleaning the surroundings and destroying probable breeding sites of mosquitoes. "Maybe the efforts that we are doing in the barangays (villages) are taking effect," he said. He said CHO personnel have been going out twice a week to the villages for anti-dengue campaigns. 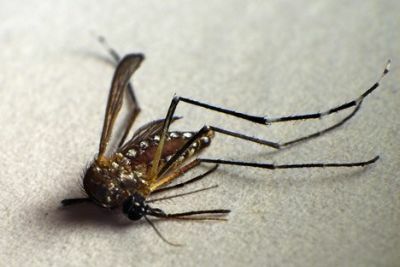 Maravilles also said that some stores in the city have run out of stock of anti-mosquito lotions because of big demand, mostly from parents who wanted to protect their children from mosquito bites. The nurse sentinel revealed that in his investigation of cases, many reported dengue victims were actually not living in Tacloban City but in other provinces in the region, but the parents or guardians put the city as the patients' residence. TACLOBAN CITY -- For the meantime, stop dreaming of SM or Ayala malls rising in Tacloban or somewhere in Palo as rumors have it. Leyte Gov. Jerciho "Icot" Petilla, himself a businessman, said that putting up another mall in the City of Tacloban or elsewhere in the town Palo may not be possible yet as of this time. According to him, if another mall is constructed right this time, this would put the operators at a losing pace. "As far as a mall is concerned, I think it's a bit premature right now. If another mall is constructed, waray na ito kita," he said during a press conference at Gerry's Grill last Tuesday. When he convinced the operator of the Robinsons Mall to invest in Tacloban three years ago, Petilla said he cited the local and transient economy of the city and its neighboring localities as qualifications for the putting up of a mall. He said he convinced the Gokongweis to up ahead before others do so. "I told them that there is only room for one mall for the next five years but that was three years ago," he said. According to the governor, the prospect if there will be room for two malls in two years time is still not certain and that he cannot openly predict. "That is a decision that the private sector will have to take," Petilla said. Petilla noticed that some stores at the Robinsons Mall are not yet earning that much compared to other malls in other parts of the country. "I could not be aggressively asking for another mall when the existing mall is not actually fully maximized," Petilla said. He said the concept of having another mall like SM or Ayala just because there is already Robinsons cannot easily be accepted especially in the private sector because income should also be ensured before they operate in such manner. But the governor disclosed that "there is a possibility that a grocery store will come out, a big one." He said this will add to the Robinsons attraction and the IT Park in Palo by which investors would have more reason to come and invest. TACLOBAN CITY -- Mayor Alfred Romualdez of this city sacked his health officer as the city government continues to grapple the problem of dengue fever, which has now resulted to the deaths of 16 persons. Relieved from his post was Doctor Jaime Opinion, who could not be reached for his comment. Opinion has been the top health official of Tacloban for more than four years prior to his being sacked last August 2. But the city mayor said that he decided to relieve Opinion because he was not "fit to the job" as a city health officer. "He is more of a surgeon rather than a doctor whose concern is on public health," Romualdez said. But a personnel at the City Health Office, who asked not to be named, said that Opinion should not be blamed why Tacloban is experiencing heavy cases of dengue fever. He said that the rise of dengue fever is not only confined to Tacloban but across the country. "And he's been doing his job. He should not be blamed," he added. Designated by the mayor to be the city health officer in an officer-in-case capacity was Doctor Joedina Gumagay, who is also the chief of hospital of the Tacloban City Hospital. The city mayor, however, said that Opinion would not be completely out from the city government as he might be given a task related to his practice as a surgeon. The relief of Opinion came at a time as Tacloban is facing a serious concern on issue related to the number of persons afflicted by dengue fever. As of Tuesday, about 1,394 persons from the city have been afflicted by dengue with 16 deaths. 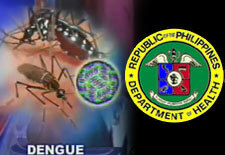 The record of Tacloban on dengue fever cases is the highest in the region. Based on the records of the regional office of the Department of Health, Eastern Visayas has 5,471 dengue fever cases, with 72 deaths. As a surgeon, Opinion may not be in a position to take the right action in providing the necessary solution to the dengue fever problem of Tacloban, the city mayor said. "It's not his forte," Romualdez said. "I want (someone) who has in full control of the City Health Office," he added. Meantime, Romualdez urged the public to always observe cleanliness in their surroundings to help the problem on dengue fever. According to him, it is only through the cleaning of possible breeding grounds of mosquitoes that causes the disease that it could be eliminated. TACLOBAN CITY -- All of a sudden, Leyte Gov. Jericho Petilla talked about wavelengths in politics. This, after he was asked about his comment on the proposal of Cong. Tomas Osmeña of the South District of Cebu that highly urbanized cities (HUCs) be placed under the supervision of provincial governments concerned to promote unity and better governance. "I think I should not be the one answering that. You better ask the mayor," the governor said. "For me, it's not a problem. The problem there is if you don't have the same wavelengths," he added, apparently referring to the relationship between him and the city mayor. He pointed out that during the time when Tacloban was still a component city of Leyte, the provincial government did no harm to it and was even supportive of the various programs and projects that would especially propel the economic status of the city being Leyte's capital. 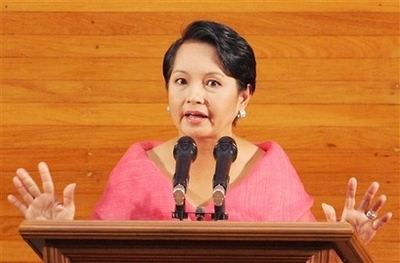 "When Tacloban was still under Leyte, I did not do anything detrimental to the city. In fact, they were doing things freely and if they need help from us we would usually extend it," Petilla said. But the governor said the conversion of Tacloban into HUC has prevented the provincial government from intervening into most of the city's affairs, thus, likely polarizing the people and also some local officials. "I don't see any major change yet since Tacloban was converted into HUC. So I'm not sure if it's really doing good for the city," Petilla said. Petilla said the provincial government is always willing to deliver the services needed especially by its people and it is determined to propel the economy of its towns which may consequently include also Tacloban in the process, which happens to be the gateway and the regional capital of the Eastern Visayas region. "I have no problem with whatever proposal or move to unite local government units. But you should also ask if others are willing to do so. The problem there is that people simply don't have the same wavelengths," Petilla said. TACLOBAN CITY -- The Philippine Fishery Development Authority has yet to finish the plans for the Tacloban fish port before actual development of the proposed site could be made. The Bureau of Fisheries and Aquatic Resources regional offices here confirmed that the PFDA is still finalizing the plans for the proposed Tacloban fish port. Juan Albaladejo III, BFAR regional director, said technical personnel of the PFDA had already conducted a survey and is now preparing the plans and conducting soil analysis of the proposed Tacloban fish port site, which is a one-hectare lot in the wet market and old bus terminal areas of the city. "We're still waiting for their final survey," said City Mayor Alfred Romualdez when asked when the port project would really be implemented. He added: "The plan is important so we can accommodate all existing vendors, and most of all to make it convenient for them as well as for the buyers. You know, these are all being studied very carefully." The mayor said that hopefully, "in the next few weeks we'll have an idea already," where the fishport expansion site would be. Albaladejo said that the ideal fish port site should be five hectares. He added, however, that if Tacloban would like to attract more investors to its fish port project, the city will need a bigger place for the processing area of tuna for post harvest as well as for canning. "Kasi, we want Tacloban to be a tuna capital, so we need a bigger area here," he said. The area of some existing fish ports in the country ranges from 30 hectares to more than 40 hectares. But Albaladejo said that the initial one-hectare area of the proposed Tacloban would be enough in initially putting up the refrigeration and storage facilities. However, he hoped that the city government would "plan ahead" and look now for possible expansion areas. In an earlier interview with the mayor, he said that the proposed Tacloban fish port in among his priority projects. Once operational, the fish port could generate employment and boost the local economy. Albaladejo disclosed that some P50 million has already been released to the PFDA for the preliminary survey and preparations of plans, among others, of the proposed Tacloban fish port. According to the BFAR regional chief, the fish port project in Tacloban might cost from P200 million to P300 million and would be under the supervision of the PFDA, a government-owned and controlled corporation under the Department of Agriculture, which was created to monitor and promote the development of fishing industry in the country. Through projects like fish ports, the PFDA has provided Filipino fishermen with post-harvest infrastructure facilities and other essential services vital for quality enhancement and efficiency in the handling and distribution of fish and fishery products. The putting up of a big fish port in Eastern Visayas came after experts found the Pacific Ocean as an alternative fishing ground following the non-renewal of the bilateral agreement that has previously given access to fishermen from the Philippines to the fishing grounds of Indonesia. Tacloban City was one of four fishing port sites that the government would put up starting last year. The premier city in the region, Tacloban City also boasts of being the center of trade and commerce in the region. It has an existing modern airport and has communication facilities. The city was chosen as one of the recipients of the fish port projects mainly because of its geographical location being near the Pacific Ocean and for the proposed fishing port being near an existing airport. The fish port in Tacloban would be patterned after existing big fish ports - like having piers, refrigeration facilities, ice plants and processing plants. Fishers could unload their catch at the fish port, process them and, with the airport, export the fishery products to the markets. While the PFDA supervises the port project, the city government provides the land or fish port site as its contribution to the project. TACLOBAN CITY -- A provincial official has clarified that Singaporean-backed conglomerate LKY Property Holdings, Inc. (LKY) did not drop its plan to rehabilitate the MacArthur Park Beach Resort Hotel. LKY, however, has redesigned its plan for a five-star hotel into a four-star facility, said Leyte provincial administrator Vincent L. Emnas. "The original plan was to make a five-star hotel which would be a first one in the region. However, the developers said they may be facing a problem in terms of customers in the future, if they would be charging high prices for the rooms and services, as some may not still be able to afford five-star rates," he told journalists here. He issued the clarification amid speculation that LKY would not meet its deadline to rehabilitate the hotel by October this year since work has been stalled. Mr. Emnas said LKY looked at the demographics of the customers patronizing existing hotels and resorts in the Eastern Visayas region, such as the Aboitiz-owned resort and hotel on Calicoan Island and Korean-owned diving resorts in Southern Leyte towns, for comparison. Despite the delay, the developer is leasing the property from the provincial government for about P250,000 a month, Mr. Emnas said. "They better hurry so they can pay a lesser amount," Mr. Emnas said. LKY had pledged to invest P300 million for the rehabilitation of the government-owned resort hotel. Based on the original plan, the MacArthur Park Beach Resort Hotel will have hotel rooms and suites and cabanas. TACLOBAN CITY -- The Singaporean-backed conglomerate LKY Property Holdings, which was given the contract to develop the MacArthur Park Beach Resort Hotel, did not altogether drop its rehabilitation works on the said Leyte landmark hotel but went on to redesign its original plan of a five-star hotel to a four-star one, said Leyte Provincial Administrator Vincent Emnas. Emnas said LKY Property Holdings had to conduct a study of other existing and leading hotels and resorts in the region if a five-star hotel can be within the demographics of the targeted customers which the conglomerate previously had in mind. "The original plan was to make a five-star hotel which would be a first one in the region. However, the developers said they may be facing a problem in terms of customers in the future if they would be charging high prices for the rooms and services as some may not still be able to afford five-star rates," Emnas said. LKY was said to have conducted a study and comparisons among hotels and resorts in the region such as those existing in Calicoan Island, in several Southern Leyte towns, in Ormoc City and in Maasin City. "They have to redesign it to a four star hotel," Emnas said. It was learned that LKY recently resumed its works at the said hotel after having been momentarily stalled and noted that it would be impossible to meet its October deadline. However, according to Emnas, amid all the delay the developer is leasing the property in the amount of more or less P250,000 a month to the provincial government and such amount is expected to go down should the hotel be fully operational. "They are also contemplating on the fact that despite the facility being unable still to earn on its own, they are already paying the province for it. So they better hurry their work so they can pay a lesser amount," Emnas added. 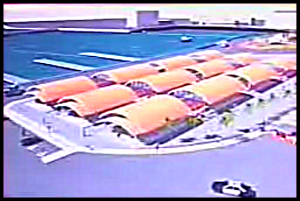 As planned, the MacArthur Park Beach Resort Hotel would not only have main hotel rooms and suites but would also feature "cabanas" that is not usually found as among the amenities in many hotels and resorts in the region. The P300-million rehabilitation of the MacArthur Park Beach Resort Hotel 25-year contract with LKY Property Holdings investing the amount and turning the formerly PTA administered property into a world-class hotel. TACLOBAN CITY -- Leyte Governor Jericho "Icot" Petilla is looking into the town of Palo as the next area for economic expansion for the province. In fact, the town is now already being packaged as an investment hub, said Administrator Vincent "Vince" Emnas. The historic town of Palo is now under the leadership of Mayor Remedios "Matin" Petilla, the mother of the incumbent governor. With its good and strategic location, especially its proximity to Tacloban, it is but logical that Palo would become the next economic growth area of the province, it was said. "Both the governor and the mayor of Palo are encouraging investors to put up their investments in Palo," Emnas said. At present, the biggest investor doing business in Palo is the call center APAC Customer Inc. which Emnas announced is planning to expand its operations. He said that the company, the first business process outsource company to relocate in the region, is planning to hire close to 1,000 workers as part of their expansion plan. In previous interviews, Mayor Petilla had said that she has several plans to make Palo as the next economic hub in the province especially that the town has the potential and resources to attract investors. The town is also the home to several regional government offices located at the Government Center. The provincial administrator admitted that he has yet to know of any other investors that are planning to invest in Palo at this time. Meantime, Emnas said that for the last three years of the governor, he would give focus on improving the province's agriculture sector aside from inviting potential investors. The provincial administrator said that his rice program which has been started in the town of Sta.Fe would be replicated in other towns of the province to ensure Leyte's sufficiency of rice supply. He said that the rice program would also be replicated in the towns of Tanauan, Pastrana, Abuyog and Kananga. TACLOBAN CITY -- The Marabut Marine Park Beach Resort is slowly undergoing transformation - from a resort where guests can stay, swim at sea, play beach volleyball or ride kayaks, into an extreme adventures destination. After a lull of more than a year, the beach resort is now abuzz with people, many coming as groups who want to hold team building activities and enjoy the ambience of this classy but affordable resort. Wilson Chan, owner of the Leyte Park Resort Hotel in Tacloban City, disclosed that the resort is now under a new management with its own organizational structure. "While in the past, management was a problem because the place is somewhat isolated that managers don't want to stay at the resort, we now have a manager who'll stay at the Marabut Marine Park Beach Resort," he said. Chan revealed that the beach resort is now undergoing renovation so it can cater to the expected influx of guests. According to Chan, the resort still has its five duplex cottages made out of indigenous materials, but all the 10 spacious rooms are now air-conditioned. "The rate is very affordable at about P2,000 a room while other resorts charge up to P5,000," he said. He added that the resort is now accepting guests who would like to go camping either for family bonding, personnel team building or just for love of the outdoor. "We now have a camping area, some tents for rent at very affordable prices and some additional kiosks," he said. Chan said that many groups from local government units, a commercial bank, a prominent school and a milk company had spent at least two days camping and doing team building activities in the beach resort, which could be reached by about an hour ride from Tacloban City. "We will soon be putting obstacle courses near the camping area," he said. Guests at the Marabut Marine Park Beach Resort, however, can still enjoy playing beach volleyball and other beach games, go kayaking in a calm sea, go climbing and rappelling at the towering rock islets fronting the hotel, or go strolling along the beach, into secluded coves or to an old wharf and even to the old cemetery of Barangay Osmeña. The beach resort used to be a summer vacation place of managers of a logging company operating in Samar. When the logging operation was stopped, the place was abandoned until developed by Leyte Park Resort Hotel about a decade ago. After a short lull, the resort is back to business again, not only as a place to relax and enjoy the beach for those who want to escape the humdrum of the city but also as a place for the adventurous. Chan disclosed that they are planning to put up a mini-zoo, construct pathways leading to caverns in limestone hills that guests can explore and a cable park. In the cable park, Chan explained that, among others, they will put up a zip-line for adventurous guests who want to have an experience of traversing from the top to the bottom of an inclined cable. Chan said they are also improving their wooden pump boat so it could travel faster in carrying guests from the wharf of the Leyte Park Hotel to its satellite resort - the Marabut Marine Park Beach Resort. Already, people are going to the Marabut beach resort for fun, excitement or extreme adventure. TACLOBAN CITY -- With the law banning open dumpsites nationwide, the city government of Tacloban is negotiating for a new technology that would lessen the volume of garbage in the city without the need of a sanitary landfill. Mayor Alfred S. Romualdez, in an interview with Leyte Samar Daily Express, said experts on landfills have already presented a proposal to the city government for a new input on a waste disposal facility. "This one is smaller compared to the requirement for a sanitary landfill. The city will be allocating only one hectare for the site. This will lessen the volume of garbage taken in daily from various parts of the city especially the commercial areas ," Mayor Romualdez said. Romualdez said the proposal is still being studied by the city government. The city is currently using a portion of the declared economic growth area in the northern part of the city as its dumpsite. But according to Romualdez, almost all part of the area used as dumpsite has been covered with soil and in a few months time, a little portion of it will be used for waste disposal. "Putting up a sanitary landfill would cost the city government a lot of money, but with this new technology, we hope to manage our solid wastes well. We will no longer be using an open dumpsite which is no longer allowed under the law," Romualdez said. Republic Act 9003, or the Ecological Solid Waste Management Act of 2000, bans open dumpsites and espouses waste recycling. It was supposed to have taken effect in 2005, but most local governments across the country still resort to open dumpsites for lack of an alternative. TACLOBAN CITY -- The city government of Tacloban will be making ways on developing the public market as tourist attraction and the best place to be. This plan was discussed in a recent interview with Leyte Samar Daily Express by no less than the City Mayor Alfred S. Romualdez. "We are already consolidating in building up new market which much better and larger which will be categorized to be more convenient not only to the vendors renting their but also to the people buying their", Mayor Alfred said. "It is not that enough that we would be helping the Taclobanons in putting and helping them build new stalls but we have to strategize on how to market their goods", the executive official added. Mayor Romualdez pointed out that if the vendors in the market have a good sale then they would also be helping the city government. "Concentration is not only building the new market and consolidating it to be functional, but in order for it to be that competent and well-organized, it is also necessary to include marketing strategy like how are we going to market a market,"he discussed. Meanwhile, Mayor Romualdez said that the fund that they will be using will not be coming from the money of city government, rather he pointed out that it will be coming from the taxes that the city government will be collecting from the stalls in the market and will be asking support from other companies. Lastly, he explained that the reason why they are not making it to be done quickly because they are making it sure that when they put up something, it would be functional and everyone should appreciate it. "We are not making it as quick as it is because we are making it sure that if we put up something, it would be beneficial not only because the culture of Taclobanons and Eastern Visayas community would be replicated on it, but we would make sure that it would be functional to the point that people would appreciate it and that we can make everyone happy," Mayor Romualdez said. TACLOBAN CITY -- Leyte Governor Jericho "Icot" Petilla is not inclined to abandon Tacloban as a provincial capital despite its new status as a highly urbanized city, which make it administratively independent from the provincial government. This was disclosed by the governor's cousin, Provincial Administrator Vincent "Vince" Emnas, during a media forum yesterday. The provincial administrator said that based on what he knew, Gov. Petilla is not really sold to the idea of transferring the provincial seat of government from Tacloban to other towns or city in the province. "The governor does not see any wisdom for the (proposed) transfer of the provincial seat of government as it would take a big amount of money which could be better spent for our people," Emnas said. According to him, any move to transfer the provincial government and all its offices away from Tacloban to other area in the province would cost at least P300 million. "The governor said that if we can spend P300 million (for the possible transfer of the provincial seat of government away from Tacloban), why not spend it for our people which is more important," the provincial administrator said. It was learned from Emnas that officials of Baybay, Leyte had aired their interest to make it as the next provincial capital of the province after residents of Tacloban overwhelmingly chose to make Tacloban as the first highly urbanized city in the region in 2008. As an HUC, Tacloban gained administrative and political independence from the provincial government of Leyte after more than 50 years. However, the city of more than 200,000 residents remains a part of the first congressional district of the province. At present, Tacloban is not only the provincial capital but also as the regional capital of Eastern Visayas. Several regional government offices are located in the city as well as state-owned and private colleges and universities. The regional airport, the Daniel Z. Romualdez Airport, is also located in Tacloban which serves as the jump off points to other places in the region. The city was once the capital of the Commonwealth government from 1944 to 1945 with national officials occupying the present provincial building as their offices. TACLOBAN CITY -- The legwork for the construction of the fish port project in this city, which aims to attract big investors from the lucrative tuna industry, is already in progress, according to the Bureau of Fisheries and Aquatic Resources (BFAR) regional office here. BFAR Regional Director Juan Albaladejo disclosed to Leyte Samar Daily Express in an interview that around P50 million initial funds were already released by the national government to jumpstart the project construction which has been long-awaited especially by people involved in the fishing industry. The Philippine Fisheries Development Authority (PFDA), which secures the money for this project, has already hired Manila-based consultants who are now doing the preparatory work for the project. "The PFDA has already hired a consulting firm offering the services of geodetical technologists who are now doing the legwork for the soil analysis of the area," Albaladejo said. According to him, the hiring of experts that would do the soil survey is part of the package offered by the PFDA in the construction of the fish port project. The counterpart of the city government is only the lot area. The soil analysis, according to Albaladejo, is imperative to determine where to put the needed infrastructure and where to strengthen them as well as to pinpoint areas where reclamation might be possible to expand the area coverage. Express learned that the initial release in the amount of P50 million would be used for the land or site development and also in the putting up of a refrigeration and storage facilities. The current area allotted by the city government for the fish project is only one hectare located at the wet market or old bus terminal in Brgy. 37. Albaladejo, for his part, said that they have no choice but to make do with what is provided by the city government for the meantime. "We can stick with that area for now, but if we want to attract big investors coming from General Santos especially, we need a bigger area that would accommodate the processing and post harvest areas and for the canning site as well," Albaladejo said. He said the city government should ideally provide something around five hectares to accommodate all the recommended facilities for this fish port project. "The city government should plan ahead. They should be able to properly deal with the informal settlers at Brgy. 37 and what to do with them because we want Tacloban to be a tuna capital," Albaladejo said. He said the overall targeted investments for this particular project is around P200 million to P300 million. "The money is already under the trust fund of the PFDA, hindi na magagalaw at safe na ‘yun, ang kailangan nalang ay hintayin natin kung kelan ang release ng ibang pondo maliban sa P50 million na ngayon ay available at gagamitin na," Albaladejo said. TACLOBAN CITY -- Mayor Alfred S. Romualdez explained in a recent interview with Leyte Samar Daily Express that the cutting of number of job Orders (JOs) and their working days in the City government is due to the prioritization of allocation of funds for an unexpected and emergency dengue outbreak in the city. According to Mayor Romualdez, cutting of the number of JOs and their number of working days into 11 days only is not his intention, but he has to do so, for them to have resources that would be allocated for emergency purposes like the dengue outbreak that Tacloban is experiencing now. It has been noticed that the City government as the rest of the other government agencies released a memorandum of terminating the JOs in their office effective June 30, 2010, but, instead of terminating the JOs working in the City Hall, the executive official decided to cut down the number of days from the normal 22 working days in a month to 11 working days only. The said action was done by the City Mayor for them to hire midwives who will help the City officials in doing massive information dissemination because of the abrupt and alarming dengue cases. "Because of the dengue outbreak that we have here, we have hired 35 to 50 midwives who will be tasked to roam around the City and conduct information dissemination on dengue as well as to encourage our parents to look into their children's welfare," the Mayor said. "We have been doing this because we are hoping that on the year 2011, we would be able to accomplish zero mortality rate," he added. Based from the data revealed by the City Health Office, Tacloban has almost 2,000 dengue victims recorded and has already 19 deaths in which most of them are children. Meanwhile, aside from the cutting of number of JOs and their working days, Mayor Romualdez also told that they will be cutting down the number of watchmanen and securities. "Aside from the cutting of JOs number of working days, we also plan to cut down the number of watchmen and securities designated on different city government offices as well as in schools," Mayor Alfred exclaimed. He instead suggested that aside from hiring watchmen and securities, they will ask for the help of barangay residents to help them secure and maintain the peace and order in the area. TACLOBAN CITY -- Tacloban City Mayor, Alfred S. Romualdez is strongly opposed to having a Small Town Lottery (STL) operation in Tacloban. This was disclosed by the mayor himself in a recent interview with Leyte Samar Daily Express, when asked if he favors that STL should operate in Tacloban. According to Mayor Romualdez, allowing the STL to operate here is like teaching Taclobanons to gamble. "If I would permit this to operate in the city, then the impact is that I am teaching the constituents of Tacloban to know how to gamble," Romualdez said. Instead of encouraging STL operators to operate in the city, Romualdez said that he should prioritize on encouraging more investors to put up businesses here so that he would be able to help his constituents by giving them extra jobs. "It is not my priority to invite STL to operate here, what I am prioritizing is to put up more establishments and to encourage more investors to have their businesses in Tacloban," he added. He also stressed that putting infrastructures and other businesses in Tacloban like in the Port Area, Market Site and Downtown Area would really help the community. TACLOBAN CITY -- The highest alarm for dengue has been raised by the city government of Tacloban after recording 19 dengue deaths, most of them children. Dr. Jaime M. Opinion, city health officer, said dengue cases are present in all the 138 barangays of Tacloban and they are waiting for the Department of Health (DOH) central office's advise so that the city will be placed under state of calamity. Mayor Alfred S. Romualdez has already declared four major aggrupation of barangays in San Jose, Sagkahan, Naga-Naga and V&G Subdivision as hotspots, saying these areas have the highest number of fatalities and cases of hospital admission due to dengue. Mayor Romualdez appealed to the city residents to help the city government in its efforts to contain the deadly disease caused by dengue virus-carrying mosquitoes. The mayor also said he is alarmed of the situation since most of the victims were children. The youngest to succumb from dengue was a four month-old baby, according to the mayor. Meanwhile, Councilor Cristina G. Romualdez, chair of the Committee on Health of the city council, said a resolution has already been passed before the Sangguniang Panlungsod supporting the effort of the city chief executive's anti-dengue task force mandating all barangays, government and private establishments, public and private schools in the city to dispose garbage, used tires, junk items, used materials in shops and houses and empty containers. The lady councilor said the city will sustain the search and destroy operations of breeding sites of dengue on a weekly basis. She also said that she is supportive of the mayor's plan to hire at least 50 health workers that would help the city in its anti-dengue campaign in the barangays. 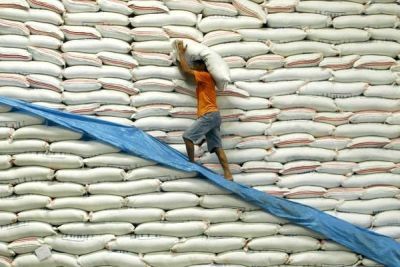 TACLOBAN CITY -- The National Food Authority (NFA) Leyte provincial office reported that it has sufficient rice stocks for the next three months. NFA Leyte manager Ramon W. Astilla said around 300,000 bags of NFA rice are stored in various warehouses in the province and are ready for distribution to local accredited grains retailers. "These are new stocks of rice. We don't have old stocks because they have already been unloaded. The rice stocks referred to by the NFA central office which dates back to 2008 have already been disposed as far as our office is concerned," Astilla told Leyte Samar Daily Express. "Our new stocks are of good quality. We have few remaining stocks from last year but these are also good quality. We practice efficient inventory management that is why we were able to dispose rice stocks to various retailers," Astilla added. He said that even with the surplus of rice in Leyte and Biliran, NFA could not rely much on the local supply because they were transported and sold to Cebu. He added that Leyte expects a share of the 1.4 million bags of imported rice shipment to the region before the end of this year. The NFA regional office disclosed that the rice stocks as of July 31, are within the normal level and will only last for 20 days if consumed by the whole population. Meanwhile, Astilla said NFA buys palay from farmers at P17 per kilo and its acceptance is without limit. "We accept palay even from Samar provinces and Southern Leyte provided that they (farmers) show their farmer's passbook. The palay we bought from farmers are milled in our warehouses and are stocked in preparation for unavoidable shortage such as calamities," the NFA provincial manager said. Besides Gaisano and Robinsons, what else do people in Eastern Visayas in general, and Tacloban City in particular, deserve? Well, they deserve an SM mall, period. a future SM-City in Tacloban could look like ..
Scan the crowds flocking to these places everyday. Notice how they swell during weekends, after office hours, during holidays and especial occasions. See how they compare to places in bigger cities like Cebu and Metro Manila. Aren't they the same even in ordinary days? Yes they are, suggesting clearly that huge malls in this part of the country could survive. Before the Robinsons Place was constructed, doubts spread that such a big department store could not survive in this poverty-stricken area. The city of Tacloban accordingly was not prepared to sustain such a giant mall. After its opening, though, those doubts were readily dismissed. The people have shown how much they welcome gigantic malls as some kind of deserved structures for their regular mobility in this growing city. Why, besides the increasing population in the city, people from all over the region are constantly paying visits to the city's newly-opened malls. They come, not just to stroll, but also to do shopping, unleashing their savings on first-class shopping spree. The entire region then shares the pride and joy in having them. In fact, people have not had enough, they still want more. The more malls there are, the better, and this is what the owner of SM City in the country may take into account. Of course those who run this giant mall have their own ways of assessing whether a place deserves an SM branch or not, but the people in a place perhaps know better, judging from their desires and preferences. If a Robinsons Place could survive here, there is not doubt that an SM likewise could. It's just a matter of getting started. Anyway, Tacloban City is a growing metropolis, and people from other parts of the region are showing their support. No doubt it's for sure-an SM branch would make it. Gone are those days when, during surveys, SM representatives would only find a handful of people flocking to department stores. Now, the number of people may have doubled, or tripled, and the buying potential of the people, too, had increased. You see, people draw a great sense of pride from the fact that now, malls of world-class caliber are just at their doorsteps. Before, they had to go to Manila or Cebu to enjoy visits to such giant malls. Having these malls seems to augment their self-esteem and self-worth. They can identify with these as their own, like status symbols. This is not to invite other malls to put up here so the people could have more landmarks to be proud of. This is to invite them to invest here so that business would boom in their chosen area and be shared by everyone. It's a way of generating employment, of augmenting the lives of people, of bringing prosperity closer to the people, of generating business opportunities and economic activities that propel people onward. TACLOBAN CITY- No less than City Health Officer Doctor Jaime Opinion has admitted that it is just a "matter of time" before an outbreak of dengue fever would be declared here in the city. Opinion said that dengue fever has already resulted to the deaths of 19 persons out of the 1,194 individuals who were afflicted by the said ailment covering the months of January up to this week. The city health officer said that it is up now to Mayor Alfred Romualdez if he would declare a dengue fever outbreak or even put Tacloban under a state of calamity. Opinion said that save for some barangays located in the northern part of Tacloban, cases of dengue fever have been noted in all villages of the city. He said that among the "hot spot areas" are those located in Sagkahan, San Jose, V and G subdivision and the Kassel City and Kassel Homes. "We're already on an epidemic mode as clustering of cases has been noted in several barangays here in Tacloban. And the situation is no longer a laughing matter," Opinion said during the weekly "Express it at the Park" media forum held at the Leyte Park Resort. "(But) it is up to Mayor Romualdez if he will declare an outbreak of dengue fever or even place Tacloban under a state of calamity just like what other local governments have done due to high incidence of dengue fever. It is just a matter of time," he added. The city health officer said all the hospitals, both private and public, in the city are now crowded with patients downed by the dengue fever. Opinion said that with such a "very alarming" number of persons afflicted by the dengue fever, people in the community should always maintain sanitation and clean or throw away things which could be a breeding ground of larvae that causes the disease. "This is not a God-made disease. This is a result of our not being conscious to cleanliness. That is why, we are advocating for our people to clean regularly their water canal, throw away old tires," he said. During their cleanliness campaign held in San Jose district, they were able to recover around 400 old tires which were considered to be one of the breeding grounds for mosquitoes that cause the dengue fever. He also said that he would recommend to the mayor to check shops and even restaurants and eateries to throw away old tires and clean their receptacles in order to eliminate breeding grounds. Opinion said that eliminating these breeding grounds and cleaning our surroundings would decline 85 percent of the population of the mosquitoes that causes dengue fever. TACLOBAN CITY -- The city government of Tacloban under Mayor Alfred S. Romualdez and City Health Officials and other concerned agencies are now on their second phase of their Search and Destroy Campaign as their answer to the alarming increase of dengue-related incidence in the City. This, after the city officials have their on-site search and destroy campaign on the four pilot affected areas in the city which are San Jose, V&G Subdivision, Sagkahan Area and the Kassel Subdivisions, which are the Kassel City and Kassel Homes. They are now visiting some of the affected areas of this pandemic disease. Dr. Jaime Opinion said that they are now on their massive information campaign on this issue because the cases that they have record for the first six months this year are already big in number compared to the whole year last year and the number of deaths is also high. The official have said that this type of illness that we are facing as of the moment is a man-made disaster, and that this is the product of the improper way of taking care of our environment and the abuses that we have done. "As of now, we are going into barangays who report to our office that they have recorded dengue-related cases so that the number would not be increasing," he said. But as they visit those affected barangays to cut the trees that might be the breeding sites of mosquitos, there were residents who were against what they were doing. So, what they did was to first have a lecture. Aside from visiting different barangays in the area, they also went to schools and conduct fogging there. The city health officer has asked the cooperation of the public to help them as well as the city government clean up their respective places because the city government alone cannot do this without the help of the Taclobanons. TACLOBAN CITY -- The City Health Office will be recommending to city government officials of Tacloban to regulate the opening of businesses like junk shops, restaurants, and tire supplies in order to prevent the occurrence dengue cases in the city. Dr. Jaime Opinion, city health officer, said that he recommended to Mayor Alfred S. Romualdez and to the officials of the Legislative Council under Vice-Mayor Arvin Antoni and the city councilors that they should regulate the putting up of businesses like junk shops, tire supplies, and restaurants in the city. According to Opinion, these establishments are one of the greatest factors why there are many of the Taclobanons who were admitted for dengue. "Based on the scientific study that we have, these establishments contribute the biggest factor that leads to Tacloban having an alarming increase of dengue related cases," he said. It was founded out that based from the search and destroy campaign that the city government recently had, they were able to confiscate about 400 to 500 tires. Aedis Aegypti mosquito that transmit the Dengue Fever virus. 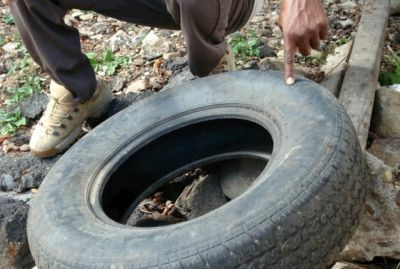 Opinion said that these tires are the most favorite breeding sites of mosquito because it has a cold temperature and it has the tendency to have water on it. He explained that the reason that the city health official have recommended to the city officials to regulate the putting up of businesses because they have found out that most of the personnel who work in this kind of business do not care as to what will happen to the community even if they have scattered trashes. "The people who are working on these establishments are very passive and they are not aware that they can make the number of dengue cases increase because they are not properly cleaning their areas. They do not look into the stock of water that they have and they sometimes do not care on their garbage even if it is already scattered in their area", he added. Meanwhile, the city health officer pointed out that before the city government should issue a permit to these establishments who wish to operate, they should first have to undergo a dengue protocol program so that they would also be equipped on how dengue can be prevented. "Where did the funds go .. !?" State of the Nation Address (SONA). But we ask President Aquino: Where's the Light at the end of this Dark Tunnel we are in? It has been a month now of GMA bashing coming from all sectors affected over her excesses during her 9-year administration. They were serious - even mind-boggling especially the suspicious importation of rice from Vietnam that is resulting in an over-supply of the staple with so many of them in fact in warehouses, the President said. Likewise the DPWH which has been by tradition considered a prolific goldmine of graft and corruption has once more showed its ugly head with the discovery of 19 midnight deals worth P934 M for the rehabilitation of provinces affected by typhoon Ondoy and Peping. 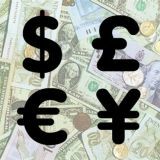 This is supposed to have been funded by the Japan International Cooperation Agency (JICA). Legal procedures were violated without an open and competitive bidding. A negotiated contract yet, and these were signed even before the special allotment release order (SARO) and signed just a few days before July 1 - first day of the assumption of the newly elected President of the Philippines. Let the above and many several others that were exposed by the new administration now be heard. Start the investigation! Organize the Truth Commission, fast! It's over a week now since these were in detail revealed in the SONA. Meanwhile people are wondering what concrete and definite steps President Aquino is doing to show us the light at the end of this dark tunnel that our nation has passed through towards economic development that will effectively pull us away from the rot our country underwent. Let him tell us now where to get our food on the table; where the ready jobs for thousands of unemployed are and how to effect a dramatic reduction of poverty in the land. These we are waiting as we watch alongside how the Department of Justice and the Truth commission undertake investigations with corresponding punishments to those officials who will be found guilty. People's expectations are high on these issues.